I wanted to show you the swatches from the Samples that I received from Dr. Remedy. I figured that as thus these polishes have been provided for me I am going to place the collection together, and you guys know that I don't usually do that. All of these swatches are 2 coats, with no top coat. Great application in all the colors. This is labeles as a Brick color, but on me it looks like a cool toned red. 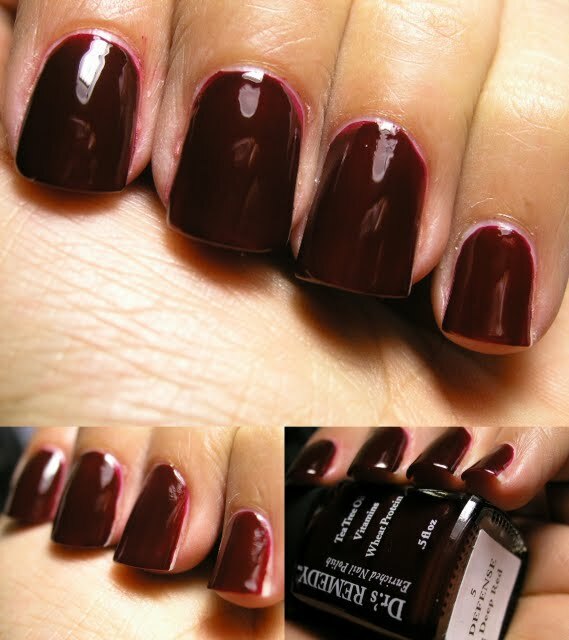 Unlike Wicked this polish is great that it applies in 2 very smooth coats. 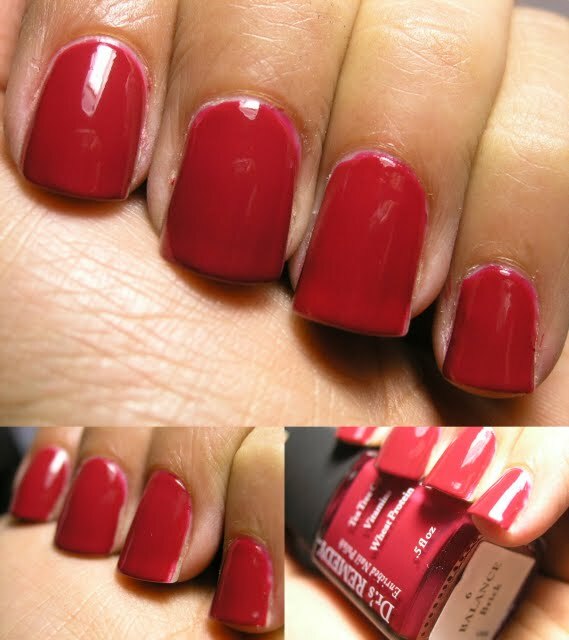 Great color pay-off, just be careful when painting around your cuticles, as you can tell from the pictures. This is my favorite from this collection! Hands down. 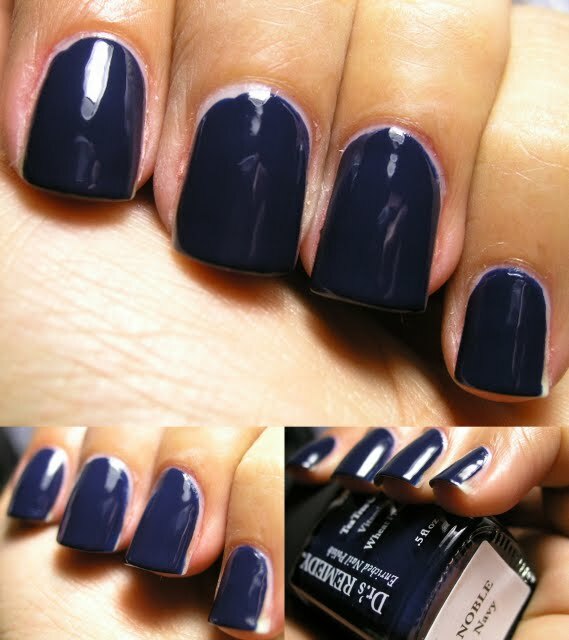 A lovely Navy blue, which doesn't look black. It seems a little greyed out. LOVE! You can also follow Dr. Remedy on FACEBOOK and TWITTER! Have you guys taken a look at my NEW "PRESS RELEASE" tab, I will update when I receive new information on upcoming collections.